It’s here, at last! You are four. 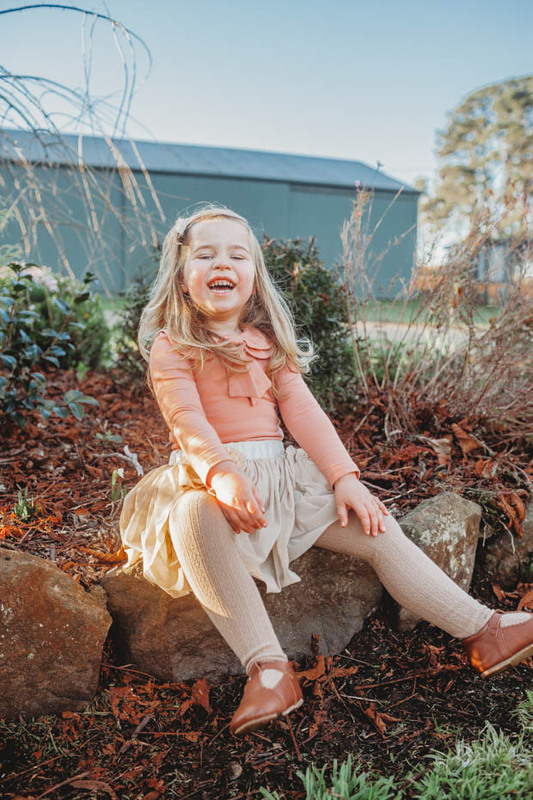 And on your fourth birthday all you could talk about was…”next year I’ll turn five!” Slow down, Blossom – one step at a time. You are insistent that once you are five you will go to school. I’m a tad worried that come June 23rd next year you will indeed expect to march off to school… But for now, it’s kinder. 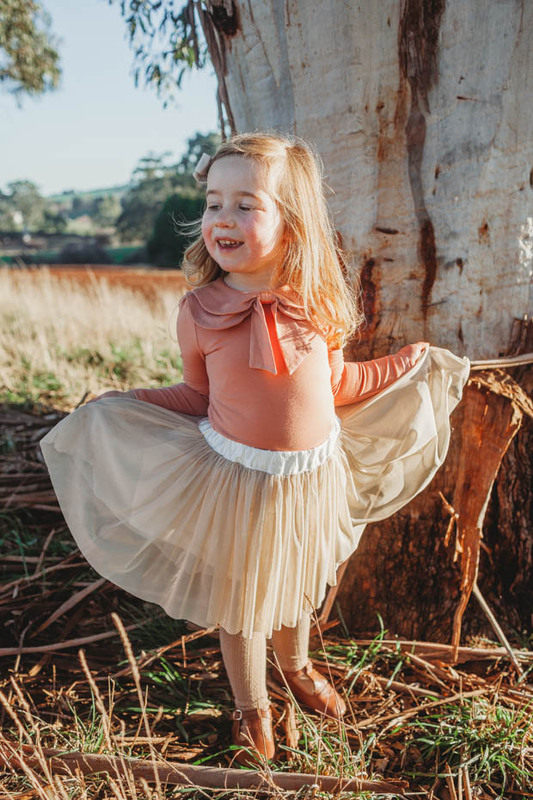 You started three year old kinder in February of this year – the first structured ‘care’ of any sort you’ve done, away from mummy, no longer tucked under my wing. You were so ready though. And excited. A few times to begin with you asked mummy to stay a bit longer, do another puzzle with you, asked the question whilst still in bed that morning “will you stay at kinder with me, Mummy? You and Hawwiet?” I thought we were going to have some issues when you asked me this, but nope – off you trotted happy as Larry. Phew. So, kinder has been great. Is great. You love kinder. You love painting and pasting and creating the most. All sorts of creations make their way into your tub for mummy to bring home – rainbow paintings and doily pastings and various mediums of cutting and gluing. You tell me that you like to play in the cubby, and on the climbing frames, with your friends Macy and Pippa. I pack your kinder lunchbox under your instruction and it rarely comes home with anything left in it. You tell me you sit next to Bailey and Pippa at lunchtime, and that some of the boys are “a bit crashy and bashy, Mummy”. Sounds about right, Blossom. 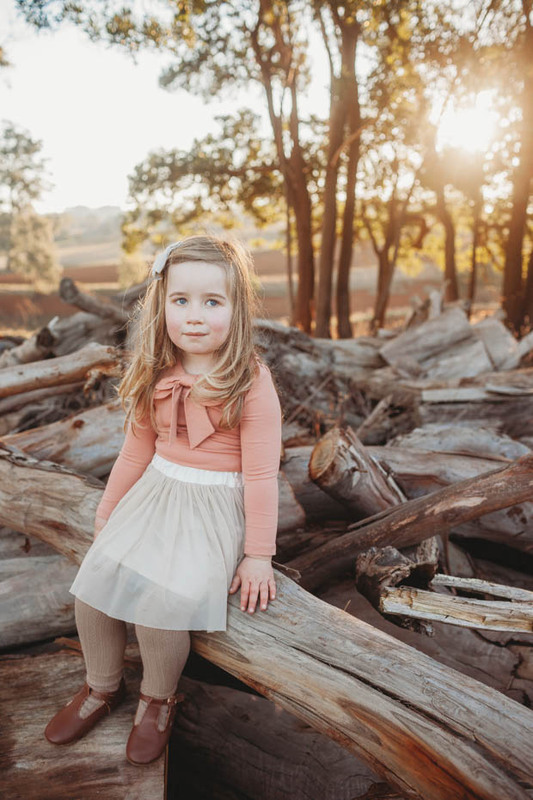 At four years old you are a bit of a homebody (like mummy), you like to sort and organise (like daddy) but have to be really pushed to come outside to get the wood or check the chook’s eggs or help mummy in the garden. You would much prefer to stay inside with your drawing or picnics on the lounge room floor. 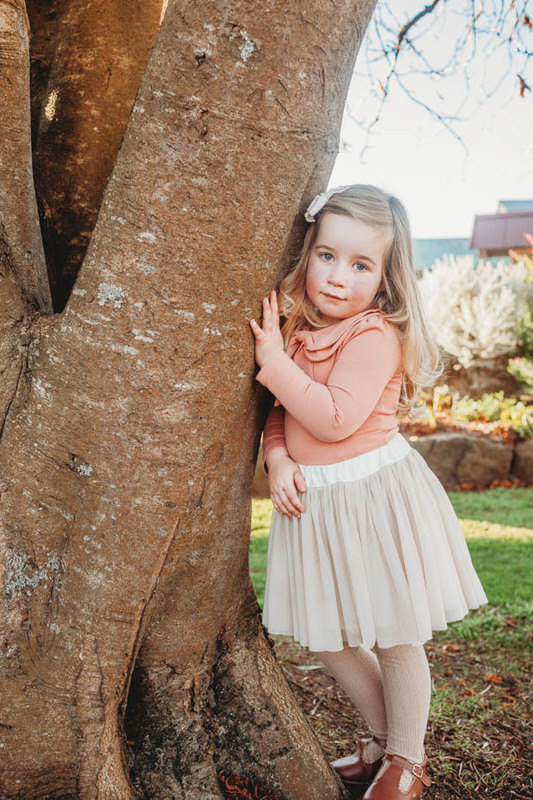 Harriet is much happier stomping around in her gumboots doing jobs, but I think that is just the age as well as personality – I remember you doing the same. It drives Daddy a bit batty that you don’t like doing the things that he likes doing, but I try and remind him that everyone is different and what a boring world it would be if our two daughters were actually identical?! Often, simply finding a way to engage you is the key. 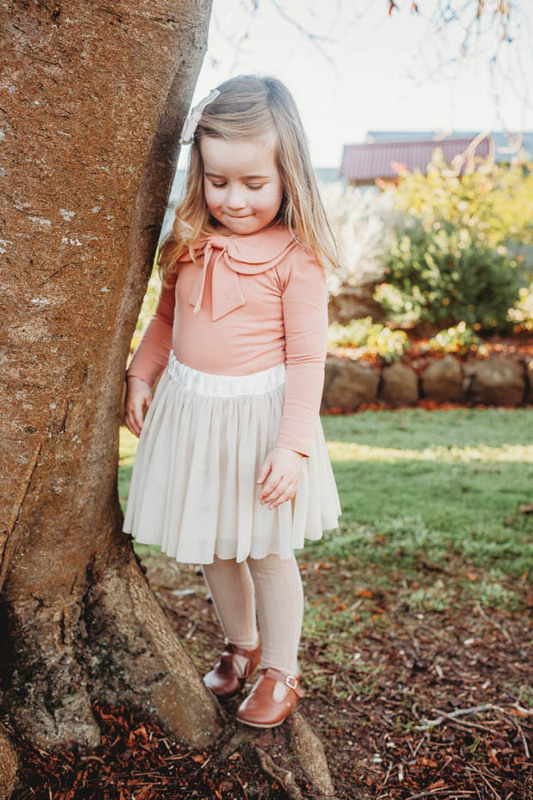 Over Autumn you spent ages and ages collecting all of the fallen chestnuts from our tree and carting them around in your dolls pram outside, carefully lining them up and sorting them out. Daddy has built you (and Harriet) the most magnificent cubby for your birthday – that has coaxed you out to the outdoors more, slamming Harriet’s fingers in the door as you slam it in her face. You seem to have a head for numbers (like daddy…not mummy!) and have recently started asking out of the blue how to add up, or doing it of your own accord on your fingers like mummy has shown you. One day from the playroom comes: “Mummy! Nine take away four is five!” Clever clogs. Mummy tries to encourage you in whatever you show interest in, like counting and sorting, which can go hand in hand. You love sorting out sultanas and nuts from the pantry into differing plastic containers. 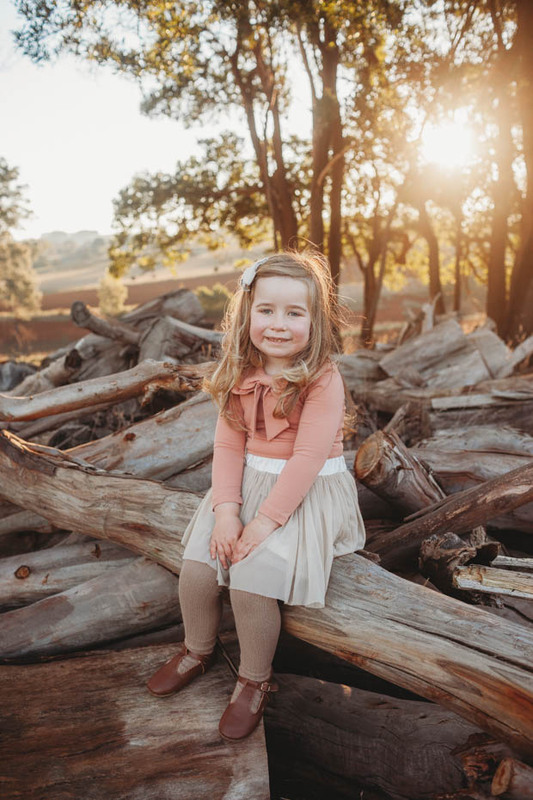 New skills are tricky to master sometimes though, and we find you are not very persistent or determined – such is the way of our easy-going and laid back natured Eleanor Joy. If at first you don’t succeed at something, you simply shrug your shoulders and move on, not fazed or bothered by the failure, but no more bothered to try and succeed either. Being a big sister is still your greatest love and responsibility – you take the business of being a big sister very seriously. Since Harriet has been a bit of a bigger girl, like you, and less of a baby, you have really taken to helping her and guiding her, instructing her in your little sing-song patronising voice down at her level in her face! Your big sister responsibilities can cross the line into sheer bossiness and I have to remind you that it’s not your job to discipline Harriet, and that you’re not the boss of her…although, it’s just the general course of nature really. You order Harriet around like your little slave – why do what mummy asks you when you can just get your obliging and obedient little sister to instead?! At the beginning of the year, just after Christmas and our holiday to Grandi’s beach house at Balnarring, you started being scared of lots of things: being alone in bed, of ‘foxes and bears’ in the night. Your little imagination has exploded yet again. Fireworks in that little (big) noggin of yours. It’s so unusual for you – our always independent, cuddle-hating, comfort-phobic Blossom. 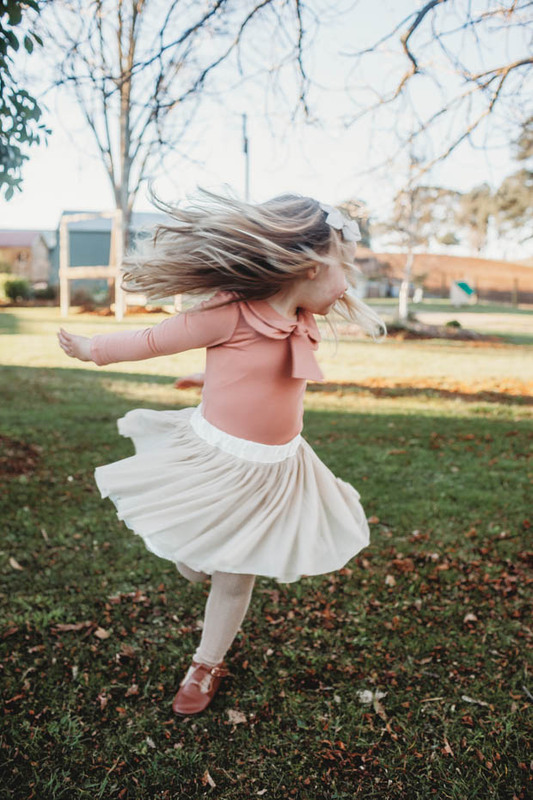 But we manage to muddle through, mummy just thinks this is what you need right now, so we try to ride the wave of your little person needs (and big emotions). For weeks, and then months, you screamed blue murder about going to sleep by yourself. That’s when mummy had a brainwave to move Harriet into your room to keep you company, little-big tough Harriet to protect you! Now you share a room with your “best fwiend” and it warms my heart so much to hear the giggles and squeals as you chatter away after lights out. Despite being our fairly easy going and placid girl, like any small person, you come equipped with a fair bit of defiance. 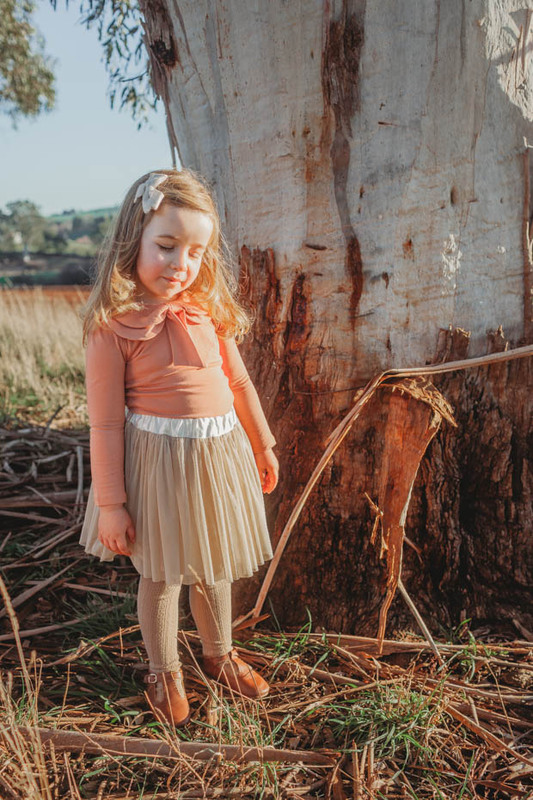 Your threenager melt downs can be epic, don’t be fooled by your sweet demeanour – butter wouldn’t melt, right?! As always you are teaching mummy so much about patience and self-governance! Stamping your foot at me (hard!) can be equal parts hilarious as it is frustrating. 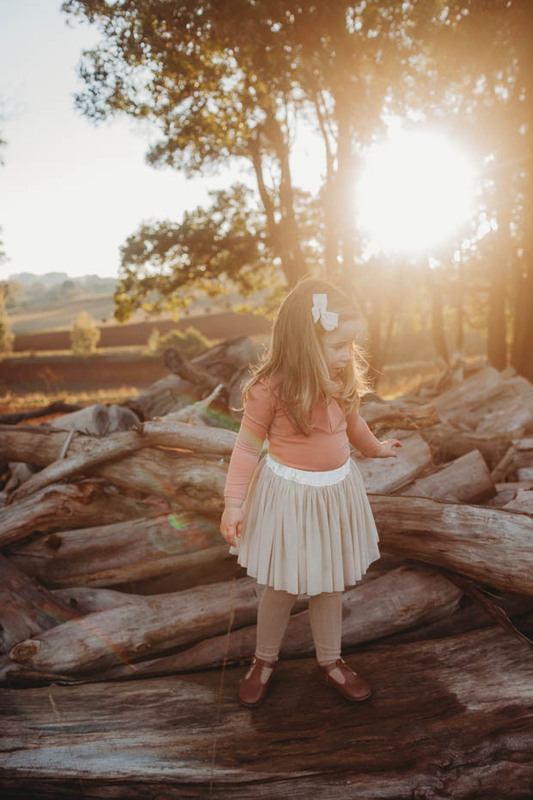 Your listening skills drive mummy the most batty – I tell you time and time again to “turn your listening ears on, Eleanor!” Mostly about being ‘the big girl’, sometimes I have to remind myself that just because you are bigger than Harriet, doesn’t mean you are big. You are growing and developing so fast, Blossom, but you are still little. So much to learn and do and think – it’s all pretty overwhelming, really, being a little human sponge absorbing all these things and emotions. You still could talk with a mouth full of marbles underwater. Oh, the talking! You never stop talking. In the car especially, so much to say and ask and mummy’s brain might explode! It’s great that you ask so many questions and are so curious, you want to learn so much and mummy wants to help you…but sometimes mummy just says “Stop. Stop talking, Eleanor. Please!” You have started to develop a quick wit and funny sense of humour, much to our amusement and delight. This hasn’t been taught or encouraged, but just seemed to appear magically. Like most things you do, Eleanor Joy – a little bit of magic trails you wherever you go. 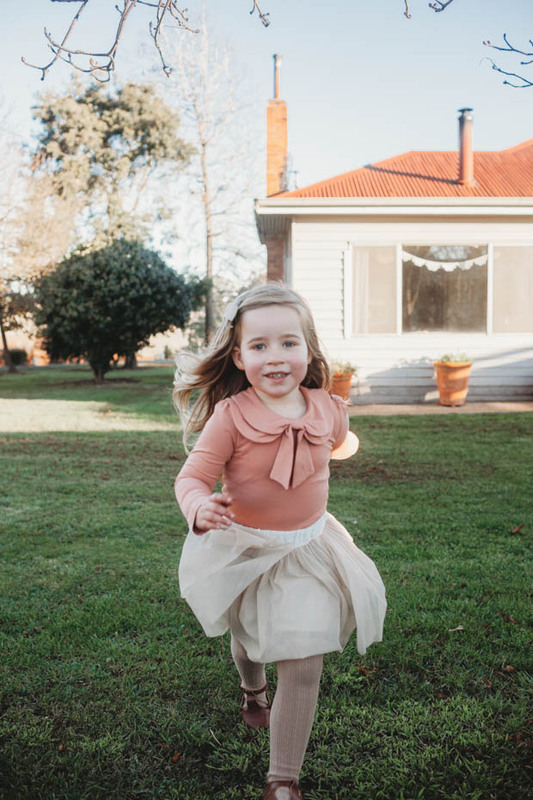 I can’t wait to see where your magic trail will take you next – on adventures around Australia on our “big trip to the desert!” I just know that over the coming months you are going to again grow and change so much as we explore and spend time together as a family. Just like you say: “All of the Steendams. All together.” You love nothing more than a family cuddle, despite your aversion to cuddles! You are a living, breathing contradiction at times, it’s hard to keep up. 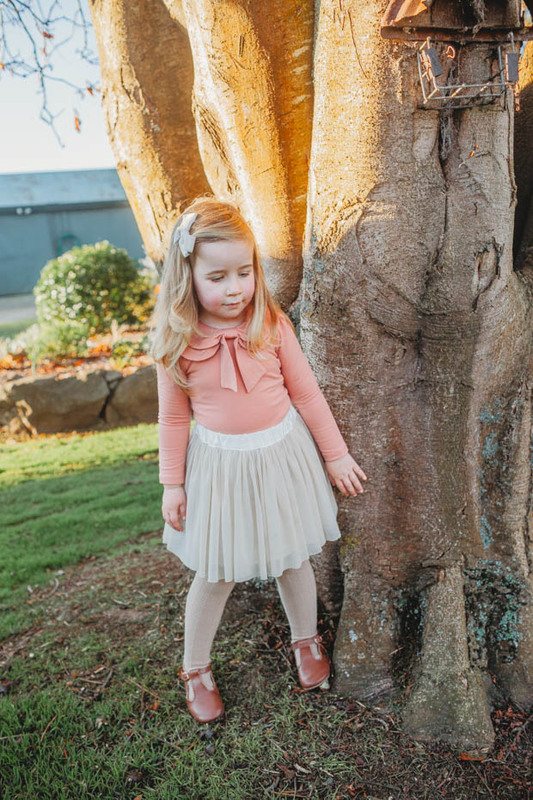 But mostly, you are my heart walking around outside my body – my little shadow and mate, my first baby girl who I always knew would be just as you are. Previous Post: « Meet Tilly… And Our Grand Adventure! Oh my heart! Just beautiful. What a treasure you have there. The pics are gorgeous as well. Happy bday!